Imbibe! 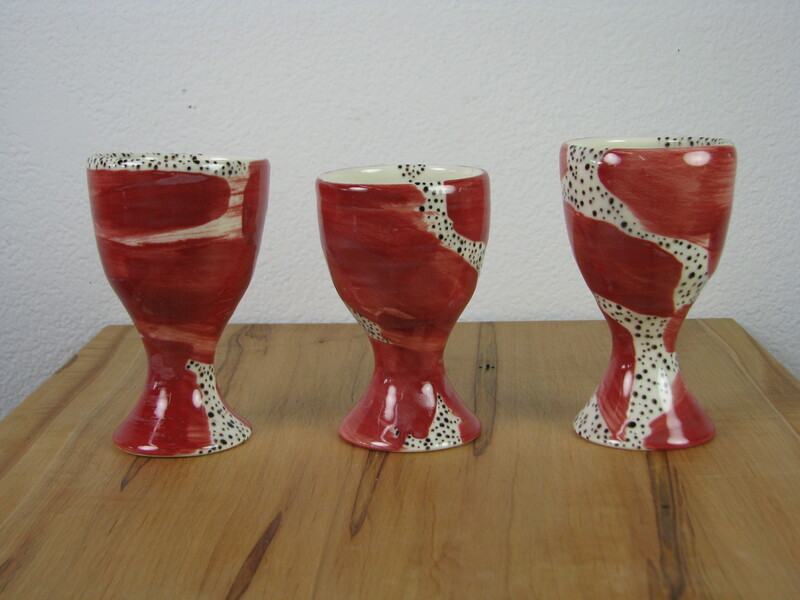 In my new line of drinking vessels I’ve incorporated expressively decorated wine cups. 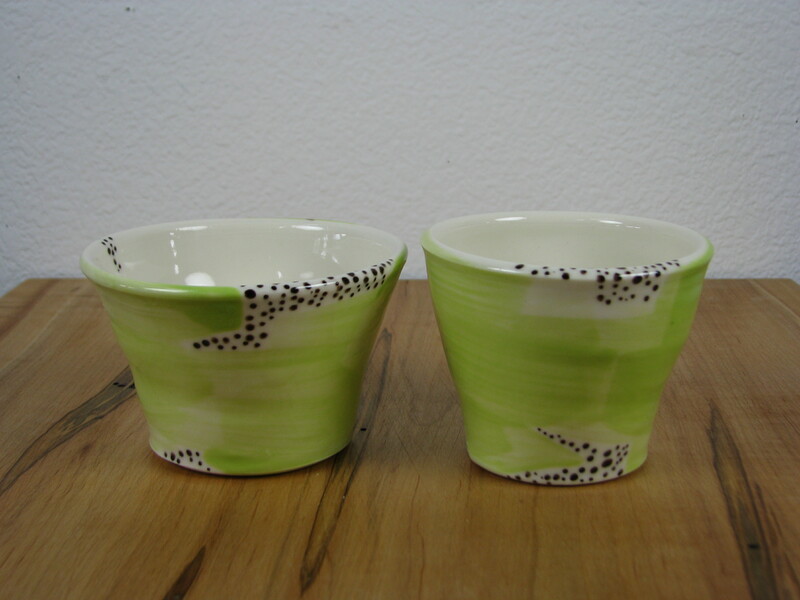 For those who favor even stronger elixirs, this pattern also comes in a shot/sake glass. I am so excited, once again, to pair up with The Cellar Door for Creating Community, this coming Friday, June 21 from 3:30-6:30 (here’s a map). Bryan and Karen of The Cellar Door have become fast friends, as my husband and I have discovered the fascinating and wide, wide world of wine. For all of us, wine creates the opportunity to form friendships and create memories over a shared glass and usually a meal. Bryan and Karen have been inviting their friends to share with all of us their other passions, in an effort to create an even stronger, more diverse community. And so, with Creating Community, I bring my wares to their weekly tasting, Friday Sips. Since I’ve been on break from grad school I’ve gotten back behind the wheel and this summer’s theme is IMBIBE. I’ve got all sorts of vessels to make your favorite beverage that much more enjoyable. My husband and I often enjoy a glass of wine while preparing dinner. With these mise en place bowls, cooking becomes an even more festive enterprise. 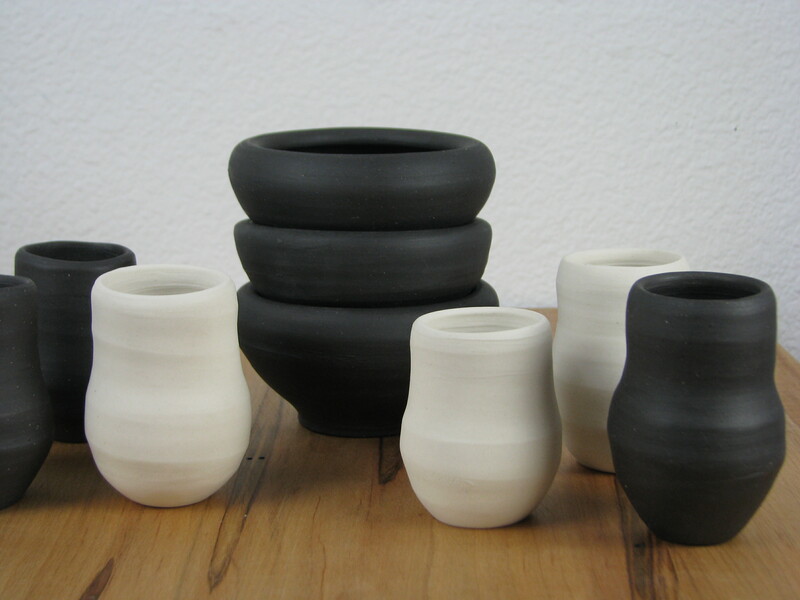 From a new series, featuring bare clay, polished to river rock smoothness: Shot in the Dark and Lit Up shot/sake cups with coordinating finger bowls (black stoneware and porcelain).